Change your MAC address on MAC? A MAC address, or a Media Access Control address, is a unique identifier that is assigned to the network interface of a machine. On your Mac, this is the unique hardware identifier for the WiFi or Ethernet card inside it. Every device has a unique MAC address, because if more than one device on the same network has the same MAC address, the network won’t be able to distinguish between the two devices, causing quite a lot of problems. 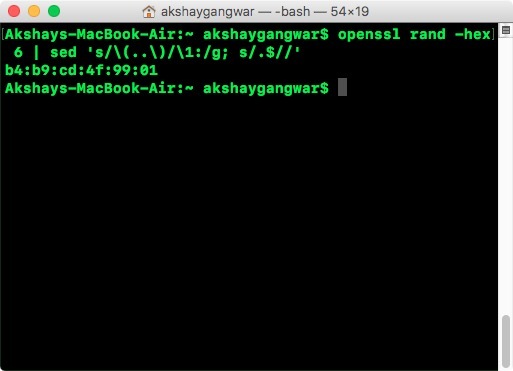 Switch over to the “Hardware” tab > You’ll be able to see the MAC Address of your Mac. Note this down somewhere, just in case you need to switch back to it. 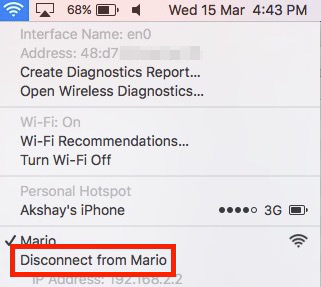 Disconnect from your WiFi network, by holding down “option” and clicking on the WiFi icon in the menu bar, and clicking on “disconnect” under your WiFi name. 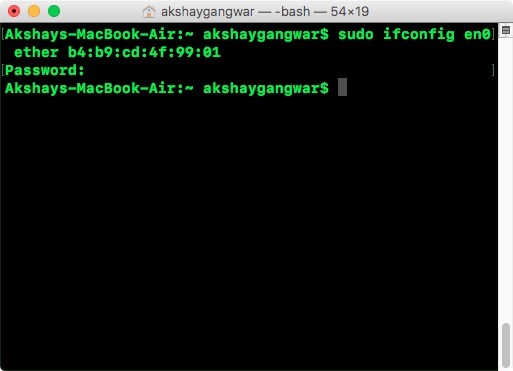 Now, type “sudo ifconfig en0 ether <generated mac address>“. You will now have successfully changed your MAC address on Mac. You can reconnect to your WiFi network, and check your MAC address again to verify that it has changed. ‹ PreviousColored Folders in Windows? Next ›Create Fake Facebook Chats?